If you end every day with a glass of wine in your hand, then a fun day trip activity for you would be to visit these wineries in Massachusetts. Spend the day wine tasting with the girls or plan a romantic date night - no matter what, you will have an unforgettable time at these top wineries in MA. Winery with Outdoor Functions? This is the One! Need wine for all occasions in Massachusetts? Les Trois Emmes Winery and Vineyard can grant your wish! Les Trois Emmes Winery and Vineyard does not only offer wines for all occasions, but also a place to paint the town red! The winery is available for wedding receptions and other celebrations; it can also accommodate up to 125 people! 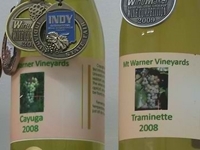 The winery also offers private wine tasting and a tour in their facility! Private wine tasting party, minimum of 10 guests, are also available after 5:00 pm for $20 each person. And the tour costs $6 only! So what are you waiting for? 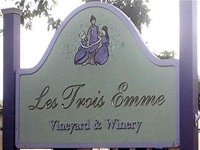 Bring your friends to Les Trois Emmes Winery and Vineyard in Massachusetts and enjoy the party! Have a trip to the past with the nostalgic look of Amherst Farm Winery in Massachusetts! Having preserved the look of the old dairy barn and added a little modernization, Amherst Farm Winery has a slightly old-fashioned and modernly artistic style of a winery. They also offer receptions for celebrations like bridal showers, birthdays and even business meetings with affordable prices! So what are you waiting for? Go and celebrate in the past with Amherst Farm Winery in Massachusetts! Check out Boston's Only Winery! Are you a wine lover? Are you taking a trip to Massachusetts in the near future? Then Boston Winery is the perfect place for you! Known as Boston's only winery, Boston Winery is a great place to spend the day with some friends or on a romantic outing. You will have an absolute blast participating in some fun and delicious wine tasting and making your own wine. With endless amounts of events throughout the week, you are sure to be entertained from the second you step in the door until you leave. Meet new friends and have an unforgettable time at this notable winery in Massachusetts! Enjoy a glass of wine or two while eating the finest seafood and gourmet cuisine at this winery in MA. The Cape Cod Winery strives to create premium wines for locals and visitors. The wine produced at this Massachusetts winery reflects the character of Cape Cod's sun, soil, and climate which the grapes are grown from. Take a tour of the vineyards or participate in a wine tasting class. Cape Cod is the perfect way to spend a beautiful day. The winery's hours change depending on the season so be sure to go to their website for any more information. Want a Different Wine Experience? Frank Zoll, a former pastry chef, learned how to make wine by himself and now he is willing to share his knowledge! With Zoll Cellars in Massachusetts, you can have a hands-on wine experience! Learn how to make wines; harvesting, crushing and pressing grapes, wine analysis, barrel aging and wine bottling. With Frank Zoll's 10 year culinary training experience there is a great possibility that you will learn how to blend different and unique tasting wines in town! 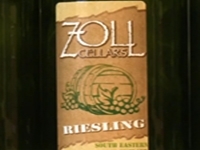 So gather your friends and visit Zoll Cellars in Massachusetts! 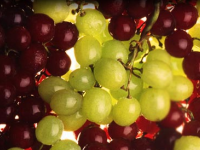 A Glimpse at the Fourth Generation of Wine Growers! This is your chance to witness history in the making. The journey started in 1982 when Bob and Carol Russell started up on the sunny, South Coast of Massachusetts. Because they believed that this was a wonderful location for growing gloriously aromatic and deliciously crisp wine here in the vineyard in Massachusetts! Now it has over 400 acres of preserved working farmland and forest. Open Monday – Saturday 11AM to 5PM and Sundays – Closed. You can visit their store and try from their spectacular Methode Champenoise sparkling wine, fabulous table wine and mouthwatering aperitif wine. You can also visit their Art Gallery, enjoy local delicacies from the wonderful array of restaurants and spend the night at any of the local inns besides enjoying this winery in Massachusetts. Black Birch Vineyard in Massachusetts produces award-winning wines using Chardonnays and Cab Savs. 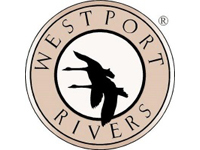 They are available for wine tasting and a tour for $6.00 per person only! 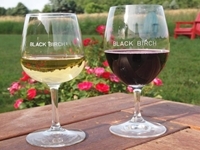 Black Birch Vineyard is open every Friday from 1:00 pm - 6:00 pm and every Saturday and Sunday from 12:00 pm - 5:00 pm. Black Birch Vineyard is also available for private wine tasting and can accommodate 15 or more people in their comfortable tasting room. They are also available for your private functions like birthdays and bridal showers. 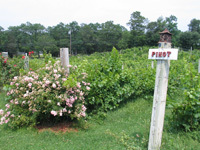 So include Black Birch Vineyard in Massachusetts on your list and visit here now! It is very rare to see a winery where the kids are more than welcome! 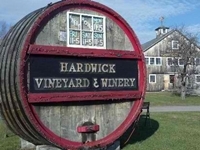 At Hardwick Vineyard and Winery in Massachusetts, there is an area for the kids to enjoy! There is a barn yard where different kinds of animals and "Dora the Donkey", the star of the barn yard, are placed. There is also a wooden tractor shaped playscape and many more attractions to come to! The "Zip Line" is also coming soon for the whole family to enjoy! The winery is open every Friday, Saturday, Sunday and holiday Mondays from 11:00 am to 6:00 pm. So bring your family to Hardwick Vineyard and Winery in Massachusetts for a different winery experience! Want to have a free wine tasting? Balderdash Cellars in Massachusetts has no tasting fee! The winery was established in 2011 and they produce wines in a traditional way. And by traditional way, it means hands-on crushing, pressing, bottling and aging. The free wine tasting offers their 2011 and 2012 wine barrels and soon to be bottled. The winery also offers private wine tastings with a maximum of 16 people. The wines are paired with cheeses, nuts and fruits. 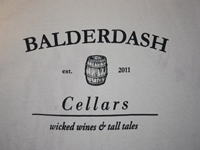 So visit Balderdash Cellars in Massachusetts to taste free high quality and traditionally-made wines! Mount Warner Vineyards in Massachusetts is a micro-winery; it started as a hobby and grew because of the founder's passion about wine and wine making. The winery is open daily from mid-April up to November 30th for wine tasting and a winery tour by appointment. What's amazing is that they can usually schedule your appointment the same day you e-mail or call them! So if you need a place for your date immediately, go too Mount Warner Vineyards in Massachusetts! 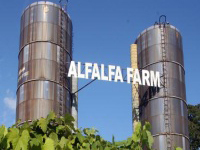 A Family-owned and Operated Vineyard! Get the feelings of a Vintner, taste the variety of wines right here at this winery in Massachusetts! You can taste from the variety of hand-crafted wines, enjoy the tour and listen to live music. They are open for guests in the summer on Sundays from 1-5 p.m. and in the fall on Saturday and Sundays from 1-5 p.m.
You can bring your friends, colleagues, guests or family members and have fun tasting different types of wines, taking a tour and having a picnic under the Bullpens at this unbelievable vineyard in Massachusetts! The Roberts Family dreamed of having their own winery and vineyard for so long, and now, it came true! 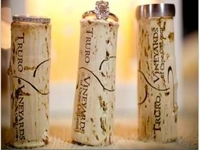 Truro Vineyards of Cape Cod in Massachusetts is operated by high skilled and passionate winemakers who spent most of their life making wines and working in the liquor industry. You will expect nothing but the best services in this winery. It is open for wine tasting daily from April to December; Monday to Saturday from 11 am to 5 pm and Sunday from 12 pm to 5 pm. Vineyard tours are also available from Memorial Day to Columbus Day. Gather your family and your friends and enjoy the wines of Truro Vineyards of Cape Cod in Massachusetts!